Having made its US debut in summer stock in 1978, Shear Madness has since been staged all over the world: Athens, Seoul, Istanbul, Rome, Budapest, Mexico City, Johannesburg, Buenos Aires, Madrid, Barcelona, Paris, Tel Aviv – the list just goes on and on. 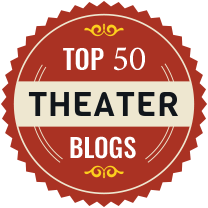 The play’s Boston Company is now the longest running non-musical play in American theatre history; the Washington, DC production at the Kennedy Center is in second place; and the Chicago production comes in third. How’s that for a theatrical trifecta? Moreover, the Boston Globe has named Shear Madness “Best Comedy of the Year” seven times; both the Chicago Sun-Times and the Philadelphia Enquirer have named it “Best Play of the Year”; it has received the Raven Award from the Mystery Writers of America; and it was the first play ever to have been inducted into the Comedy Hall of Fame. Without question, this play is in a class of its own. Sue and I finally got to see it with our 12 year old granddaughter, Naomi, last Saturday evening at the Kennedy Center during our brief sojourn in our nation’s capital. Hundreds of other teens and pre-teens from all over the country were in attendance at the same performance and it was readily apparent that they absolutely loved the show. Naomi agreed with them: she proclaimed that the play was the high point of our four day trip to Washington, DC. But Sue and me, not so much. Based on a German murder mystery originally titled Scherenschnitt by Paul Portner, Shear Madness is an interactive, improvisational, slapstick whodunit set in a unisex beauty parlor/barber shop. The shop’s proprietor, Tony Whitcomb (Tom Wahl), is an irrepressible, fun-loving, flamboyant homosexual who is assisted in running his establishment by Barbara DeMarco (Gillian Shelly), the shop’s slutty hairdresser/manicurist. The shop’s customers are Mrs. Shubert (Maureen Kerrigan), a philandering socialite; Eddie Lawrence (Nick DePinto), a suave and somewhat mysterious individual professing to be an antique dealer; and Nick O’Brien (Patrick Noonan) and Mikey Thomas (Jonathan Lee Taylor), two undercover cops. All are constantly in motion, in and out of the shop, in one door and out another, when it is discovered that Isabel Czerny, a retired concert pianist and the building’s landlady (who we never do get to see), has been murdered. It is quickly established that the murder must have been committed by Tony, Barbara, Eddie or Mrs. Shubert and it is up to Nick and Mikey (with the audience’s help) to determine who the guilty party is. To that end, Nick and Mikey question all four suspects, soliciting the audience’s assistance along the way to determine the extent to which each suspect’s responses are or are not consistent with the events that the audience saw transpire on stage. The entire structure provides the cast with a wonderful opportunity to improvise, peppering their remarks with allusions to current events, and they take every advantage of it. Ultimately, the audience is asked to vote on who they believe to be the murderer and – surprise! – whoever a plurality of the audience comes up with turns out to be guilty (alternative endings for the play having been written to allow for all contingencies; the same conceit, by the way, was utilized in Roundabout Theatre’s Broadway production of The Mystery of Edwin Drood that we attended and reviewed earlier this year). As it turned out, on the evening we saw Shear Madness, Eddie was the murderer but at any other given performance, the murderer might have been any one of the other three suspects (which partially explains why some theatre-goers choose to see this show more than once). In my opinion, this is a terrific show for teens and ‘tweens: it is slapstick, burlesque, raucous, pun-filled, and a bit smarmy. But for adults with somewhat more sophisticated tastes in theatrical comedy, I think the show may prove to be something of a disappointment, especially given all the hoopla surrounding it. I told Hillary to run but she said “Not until 2016.” And Bill just kept chasing his tail as usual. Nick: Anything you say will be held against you. The young people in the audience did love it and if that kind of stuff is your shtick, you very well may too. I just found it all a bit puerile (but maybe that’s just what comes of being a septuagenarian).